The newest adaptation of Stephen King's It has introduced yet another generation of kids to their worst nightmares. The 1990 TV miniseries scared the jorts off every early millennial with a VCR and four hours to spare, and the 2017 version moves the setting to the late '80s, when milk cartons paraded pictures of missing children and the New Kids on the Block were every teen's guiltiest Walkman pleasure. Through a wildly entertaining funhouse of fright, the Losers Club comes together to do what the adults can't and banish evil. But do they really put an end to their shared plight? Let's take a look at what actually happens at the end of It—and what's in store for us in the sequel. There's an undercurrent of teenage rebellion that informs the story of It. Here we have a group of misunderstood, underappreciated, and in some cases even abused kids who, on their own, are self-described Losers with a capital L.
Bill Denbrough (Jaeden Lieberher) has a stutter and bears the guilt of his little brother's disappearance. Beverly Marsh (Sophia Lillis) has developed a wholly undeserved reputation, just as her father asserts dominion over her girlhood in creepy and possibly even violent ways. The delightfully foul-mouthed Richie Tozier (Finn Wolfhard) is content to spend every second of his spare time in the arcade. 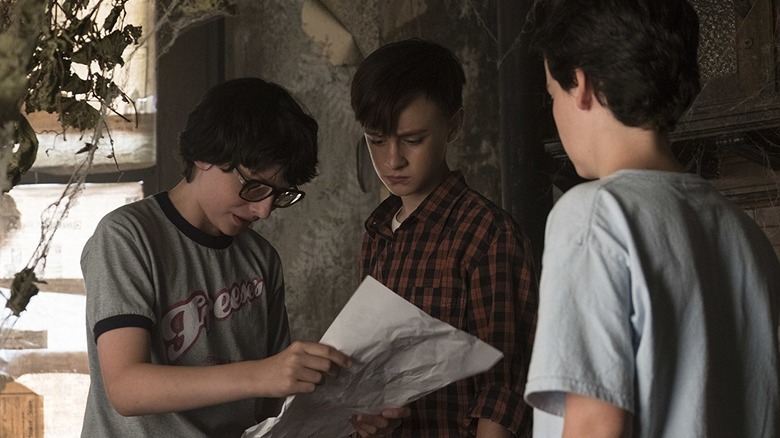 Stanley Uris (Wyatt Oleff) is constantly picked on for his yarmulka, though he can barely recite Hebrew enough to feign interest in his own bar mitzvah. 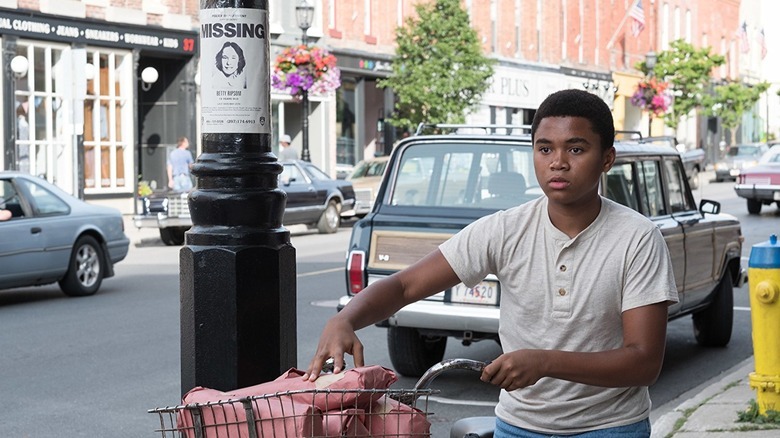 Mike Hanlon (Chosen Jacobs) is the home-schooled kid who's still considered "other" thanks to his race. Eddie Kaspbrak (Jack Dylan Grazer) is whip-smart, but constantly demeaned by his mother. And Ben Hanscom (Jeremy Ray Taylor) is the new guy whose pudginess and affinity for the library makes him an easy mark for the nastiest of town bullies. By coming together, they ignite a uniquely fearless force field against the demonic force that's plagued their town for years. Unlike other kids, who are perhaps less subject to daily torture by their peers, the Losers have been made to face their fears almost daily. From bullies to oppressive parents to a lost siblings, they've already been through the worst life can throw at them. So Pennywise, despite all Its tricks, can only do so much to them … especially when they're united. However, they do seem to have a tendency to break apart a little too soon. As we see throughout the movie, Pennywise/It constantly tries to separate them to individualize the aggression, since he needs their fears to feed, but that doesn't work so well when they're attacking him as a unit. Together, they can at least hurt him; apart, they're completely vulnerable. At the end of It, they agree to reunite if the occasion calls, but they'll go their separate ways in the meantime … which can't be good news for the next victims. 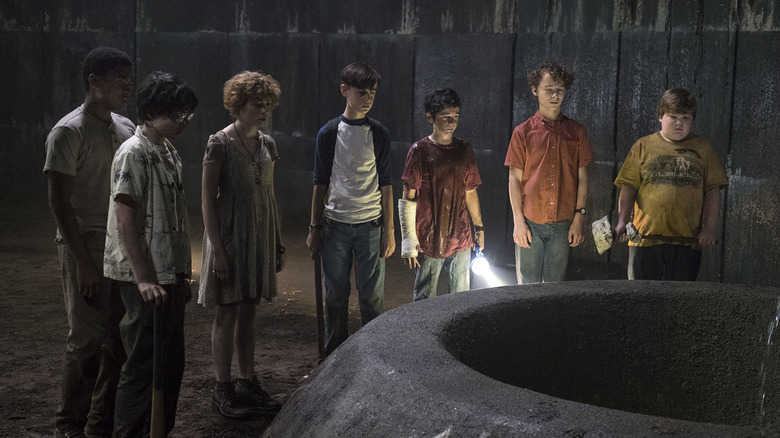 With the exception of Georgie, Patrick Hockstetter, and the other missing kids from the movie, the Losers seem to come out of their battle with Pennywise relatively unscathed. 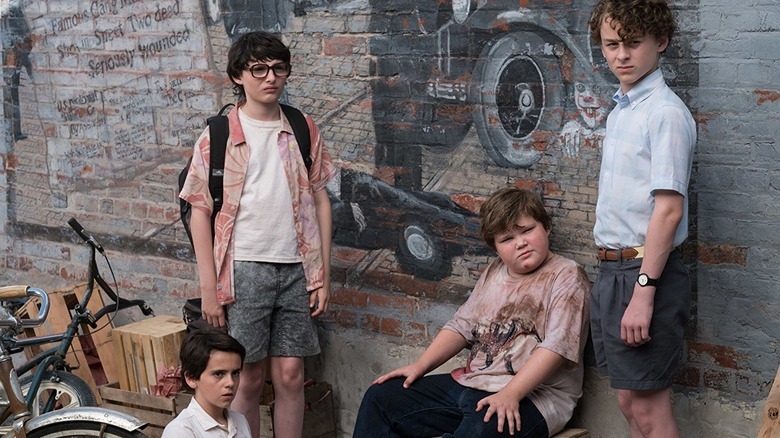 Book readers and fans of the miniseries will know that Stan Uris isn't going to heal—inside or out—quite as well as the others. But for the most part, the Losers emerge okay after everything that happens to them. The parents, on the other hand? They're a little worse for wear. Not only does Henry Bowers knife his dad in the neck, but Beverly fends off her dad by greasing him with a toilet lid. On a less deadly note, Bill has almost completely disregarded his parents' sensitivities over their lost son, and Eddie defies his mother-doctor's orders and trashed his placebo prescriptions. Part of the point of this story is to subvert the whole "parents know best" philosophy, and they've done just that. 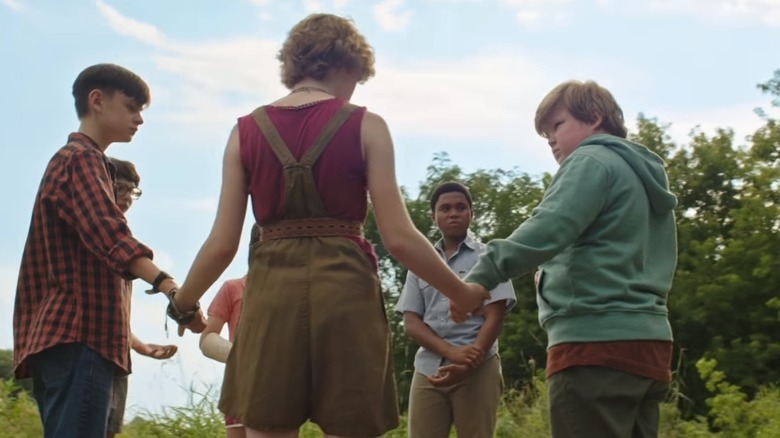 Without the whole Ritual of Chüd and multi-verse turtle concept in Stephen King's book, the process of the Losers destabilizing It in the final act of the film is actually pretty simple. They're able to stymie and even overcome the monster because of their united front and, in a battle of wills, they each display little to no fear that It can feed off to strengthen itself. It isn't just their group status that allows them to table their terror; before they make way into the sewers one last time, they each have to conquer something in their individual lives. Beverly defends herself against her father's sexual and emotional violence; Eddie decides not to take the useless medication and hovering of his mother anymore; Ben reveals his secret adoration of Bev; Mike gets used to the bolt gun at his slaughter house; Richie's grown numb to his fear of clowns; and Bill finally accepts that his brother is dead. Once they've faced their individual fears, It has very little left to use against them. An important part of the book that comes through in a very subtle way is the fact that they believe in their strength. After defeating Henry and his gang in the rock battle, they realize they've got strength when they're all together. It's that belief in themselves that ultimately wins the day against Pennywise—even though Mike's bolt gun isn't loaded, it delivers a crucial blow because they collectively will it to. In the book, it was a silver piece that was slingshotted at It; here, it's the farmyard tool. In both cases, it's not the power of the weapon itself that matters, but rather their belief. 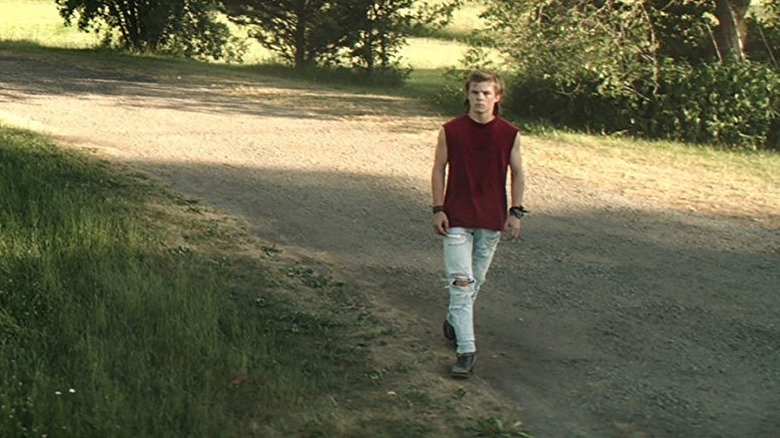 Another minor to seemingly meet his maker in the movie is Henry Bowers (Nicholas Hamilton). After being coaxed into killing his old man, his sudden sense of social supremacy takes over as he goes on the offensive against Mike. Mike manages to stave off certain doom by slapping away his own bolt gun before it can strike him and pitches Henry into the abyss of Pennywise's well, which is immeasurably deep. But we shouldn't count Henry out just yet—if a character's death isn't shown onscreen, you're better off assuming it didn't happen. Anyone familiar with King's story will know Bowers plays an interesting part in future events, so his rage will likely linger just as long as that terrible scar he sliced into Ben's belly. What about the floating kids? When Bill and the rest of the Losers come back together to rescue Beverly from It, they discover her floating mid-air with her eyes glazed over. After they spring her from unconsciousness, they learn that she felt like she was no longer alive while under the spell of the deadlights. 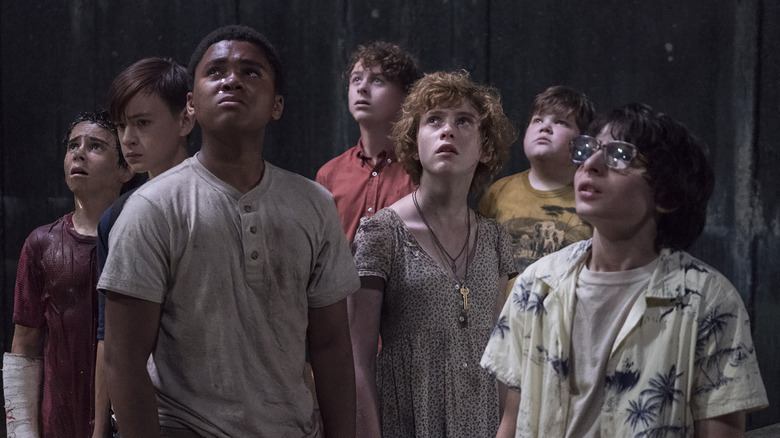 After the Losers manage to scare Pennywise away, the rest of the kids that have been floating in It's underground lair start to drop. Considering all the "missing persons" signs plastered throughout town, there's a good chance that these are some of the children who've recently gone missing. Will they too emerge alive? It certainly seems that way, but we'll have to wait and see if there are other sewer survivors from this generation. Whether or not the Losers have just made dozens of worried parents happy and whole again by defeating the monster that kept their kids as hostages, it looks like little Georgie Denbrough won't have a happy ending. 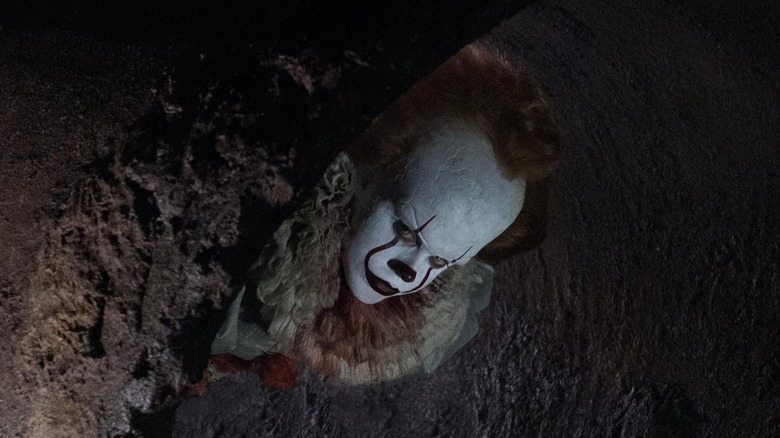 Just as with previous It-erations, Georgie really did lose his life after being sucked into the storm drain. At the end of the film, just as other lost children are potentially being dropped to safety or at least absolution for their folks, Bill's left to grieve over the yellow raincoat Georgie wore while captaining his paper boat on the street. Why Georgie met such a sad fate while others were left to hover without a scratch is a mystery. The #JusticeForBarb crowd will know exactly how that feels for sure. Apart from beating us over the head with metaphors about her reaching adolescence, It also lays on the love triangle element with Beverly Marsh pretty thick. Not counting her grotesque father, Beverly is the apple of not one but two pairs of eyes: "January Embers" scribe Ben and the group's de facto leader, Bill. Although the Losers do manage to defeat It at the end of the movie, even they know the fight isn't over, which is why they make a blood oath to get the band back together if more Derry disappearances star happening in the future. Even though we get a glimpse of It falling apart, the creature clearly isn't dead. As the news articles Ben has so carefully assembled indicate, It's hunger strikes again every few decades, so it's just a matter of time before It comes back to claim another slew of victims. Stephen King scholars will no doubt be quick to point out some of the most severe deviations from the source material—werewolves are only hinted at in passing, the deadlights are barely shown and never discussed, no one seems to even know what a slingshot is anymore, and the sewer train scene (you know, that one) is completely ignored. Perhaps the most significant difference, though, lies in the nature of the titular creature. It takes on many forms throughout the movie, from Stan's "The Scream" painting-esque visions to the cockroach-style pincers that go after Mike to the very realistic face of Bev's abusive father. 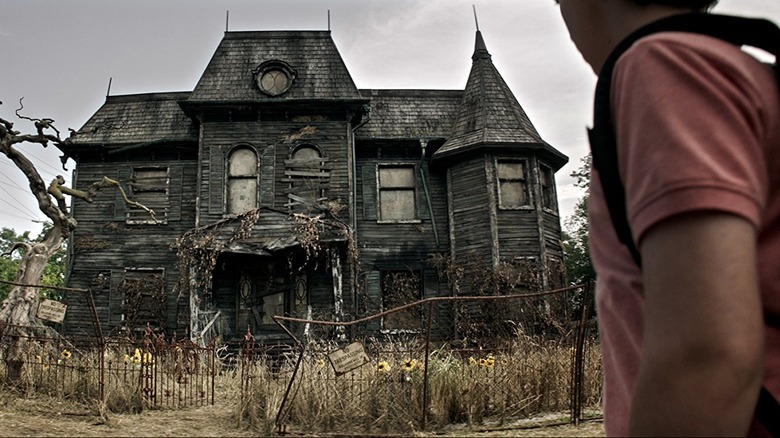 However, we never get to see the true form of the evil that lurks below the Well House. In the book, It is really a spider-like being that uses intoxicating deadlights that stun its prey into submission—an odd appearance that's obviously either being saved for Chapter Two or altogether ignored. And whether or not the creature's plans for spreading its terror beyond the town limits come into play, there's clearly more to the story. An essential part of why It will be able to return is that the Losers will forget what happened down in the Derry sewers … and everything they'd accomplished individually and together, too. While Mike Hanlon stays and attempts to uncover more of the town's deadly history as new deaths take place, the rest are long gone from Derry and have no memory of each other or what they'd been through. As a result, some will fall into old habits: Beverly will have an abusive husband, and Eddie will still be a hypochondriac. Others will sidestep their pasts almost completely — Bill completely suppresses his brother's fate, while Ben gets into good shape. The ending of It lays the groundwork for that to happen, as Beverly mentions that she doesn't remember anything from her moment in the deadlights. 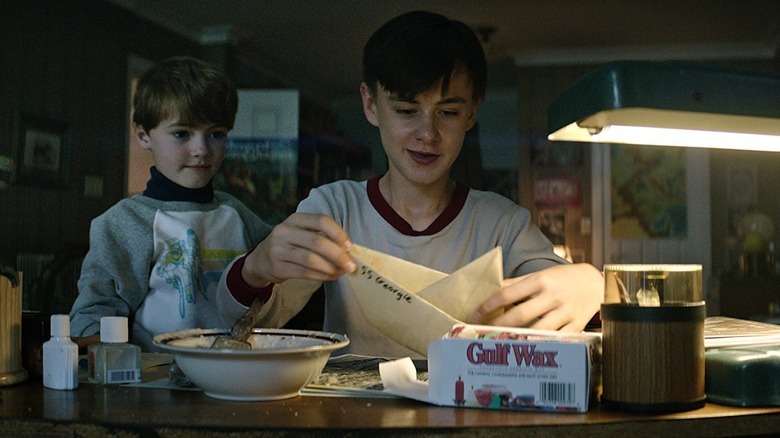 It's just a touch of foreshadowing, but it has implications for the rest of the story—and now that a sequel has officially gotten the green light, let's take a look at what we can expect when Muschietti adapts the second half of King's novel in It: Chapter Two. King's novel, and the 1990 TV miniseries adaptation, took place in two time periods: 1957-58, when the Losers first banded together to stop It, and 1985, when they're all summoned back to Derry to finish what they started. 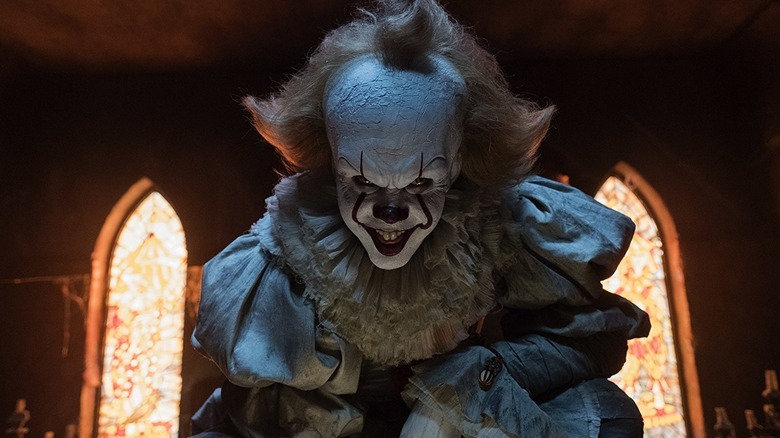 Since the new version of It's first portion takes place in 1989, that means the second chapter will take place in the present day—the 27-year cycle is crucial to the story. Though the filmmakers haven't addressed the approach yet, this'll likely require a shift in certain elements of the new story. Consider the technology that wasn't available at the time, or the national news coverage a hate crime such as the one against Adrian Mellon might receive. It may require some suspension of disbelief or clever scripting to convince audiences that the Losers wouldn't be aware of what's going on in Derry—or at least keep tabs on each other via Facebook. One of the biggest voids left by the first film was the exploration of the macroverse mythology that underlined the kids' battle against It in the book. Rather than using the Ritual of Chüd to speak to the ancient turtle/universal creator Maturin, the Losers simply force It into submission with a show of fearless togetherness that has no real supernatural element. Given the book-to-screen changes seen in the first installment, fans of the novel probably already expect to see some deviations from the source material for movie two. One character who'll grow up to be really different: Mike Hanlon. 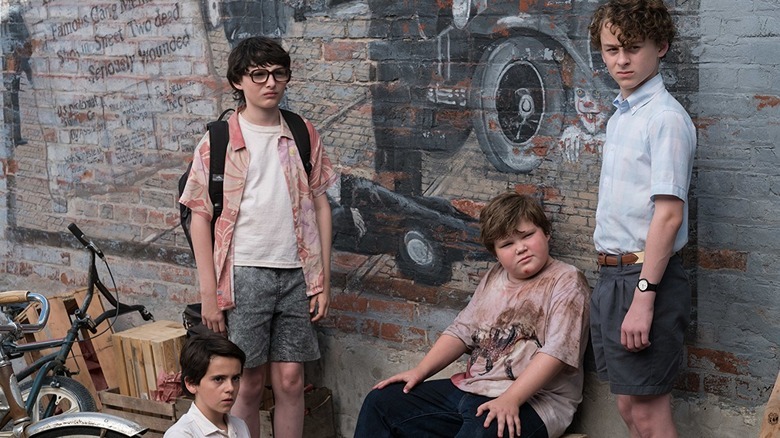 According to Muschietti, Mike will still be the center of the Losers' reunion, as he's been the only one of the seven to remain in Derry. However, as the director told Entertainment Weekly, "My idea of Mike in the second movie is quite darker from the book. I want to make his character the one pivotal character who brings them all together, but staying in Derry took a toll on him. I want him to be a junkie, actually. A librarian junkie. When the second movie starts, he's a wreck." Indeed, in the book, Mike does try to hold off on dialing up his old friends until he's absolutely sure that It has come back, while still obsessively piecing together a timeline of Its deadly history. But despite a fellow town historian's warning that working on such matters is detrimental to the soul, Mike remains mostly calm and collected in the book. Not so on the big screen, it seems, but there is a grander purpose to his new emotional dynamic. 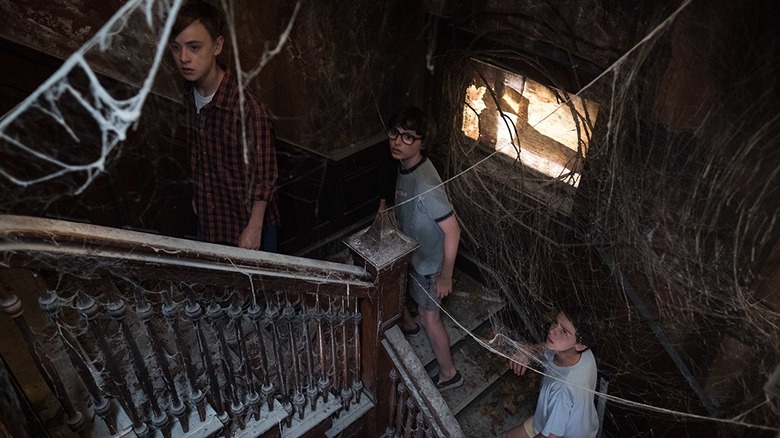 Muschietti told Entertainment Weekly that the reason Mike will be so much more burdened this time around is that he's "not just the collector of knowledge of what Pennywise has been doing in Derry. He will bear the role of trying to figure out how to defeat him. The only way he can do that is to take drugs and alter his mind." Those drugs, he explained, will help to simulate the same kind of information accessed in the Native American smoke hole ritual they take part in during the book. "By inhaling these fumes from the fire they have visions of It, and the origin of It, and the falling fire in the sky that crashed into Derry millions of years ago," added Muschietti. "We've brought that to Mike, by the end of those 30 years Mike has figured out the Ritual of Chüd." It: Chapter Two will introduce a whole new cast of Losers, as the film will follow the characters into their adult lives. But we can expect to see the kids again, too. 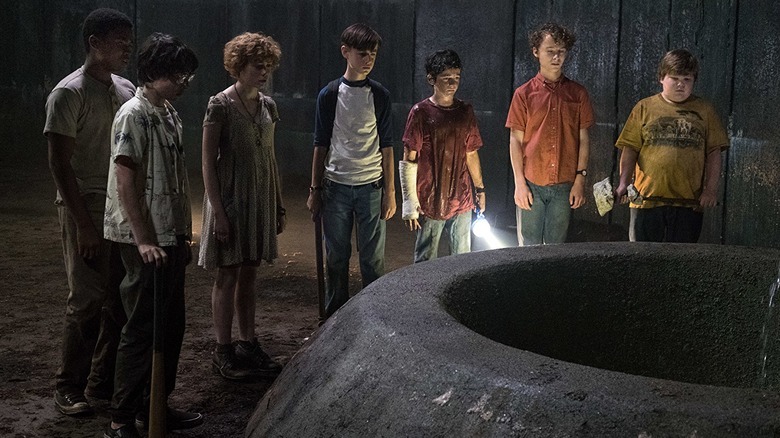 Muschietti told IndieWire, "We are going back to the summer of 1989 and if people love these characters and actors the way I do, it's going to be a blast to go back to 1989 in the second one. 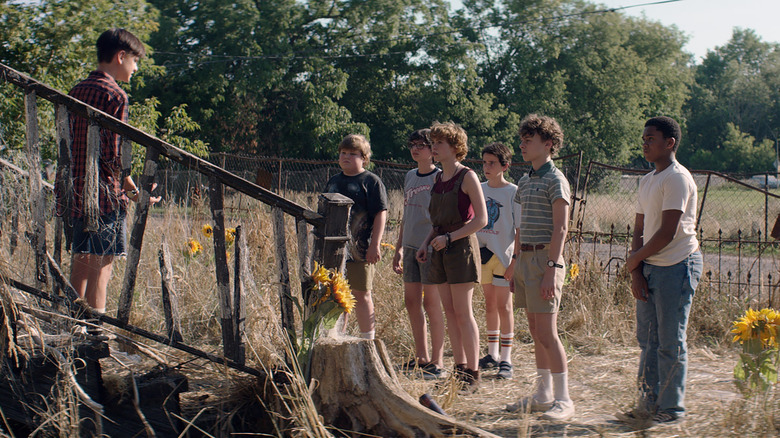 I don't want to go back just for that, I want to make those flashbacks essential in the plot where in order for the Losers to figure out the clues to defeat Pennywise, they have to retrieve their memories from the past." And it's not just going to be visions from the first film they retrieve, either. He told EW that the child actors from the first pic are "a very big part of the action" in the second. Perhaps one of the new scenes for the younger stars has already been hinted at by the director. He previously told Collider that he had to leave an eerie Bill Denbrough scene out of the final script due to budget concerns, saying, "Bill sees— he's leaning on a bridge, in Derry, and he's spitting on the Kenduskeag Stream, and suddenly he sees the reflection of a balloon. And he looks up and it's not one balloon, but a bunch of balloons, and then he starts to see body parts, and the shot goes wider and it's a multitude of dead kids floating." Now that the box office has earned the studio a massive return on the first film, he probably won't have as strict a spending limit the second time around. As with the book, Stanley Uris won't quite make it back to Derry in adult form. 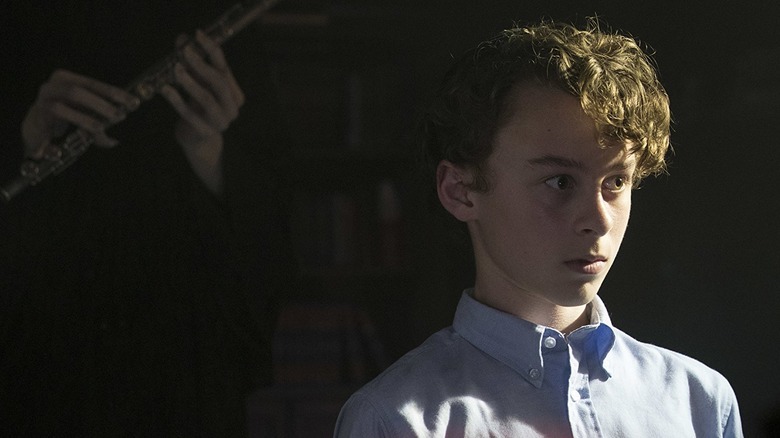 Although Wyatt Oleff might still be able to return by way of some of the aforementioned flashback sequences, his adult counterpart won't last very long after Mike makes that fateful phone call. Muschietti told EW, "There is something in the future for him, taking his own life, that finds its seed in this film. He is the one who doesn't want to accept what's going on. And being the one who didn't want to participate he gets the worst part." Indeed, Stan was one of the few Losers who was actually injured by It, and the attack on him was arguably worse than what happened to Eddie's arm. Being reminded of his past will be too terrible for him to take. As Muschietti's sister-slash-producing partner Barbara Muschietti put it, "The thing about Stan is he doesn't bend. He breaks." Whether the movie will bring him back in other ways, as the previous adaptation did, remains to be seen. 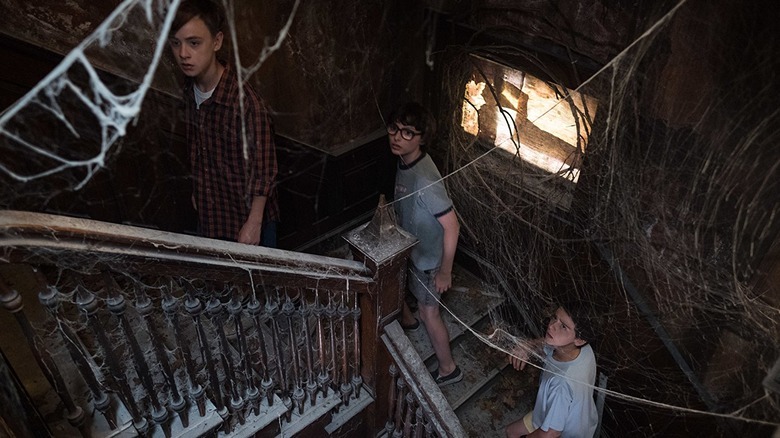 Another of the scenes Muschietti told Collider he wanted to bring into the first film was one that revealed the very start of Its terror on Earth. He described it as "a flashback, that sort of portrays the first encounter of It and humans, which is an amazing scene." Actor Bill Skarsgård seemingly confirmed that such a scene will make into the second movie by telling Metro UK, "It's a different story, but I'm excited to delve in deeper to the character as there's more exploration for who Pennywise is … to delve into the psychological and metaphysical spaces of this transdimensional being." Skarsgård's description sounds like Muschietti's deleted scene, and it would certainly go a long way toward explaining the macroverse concept. 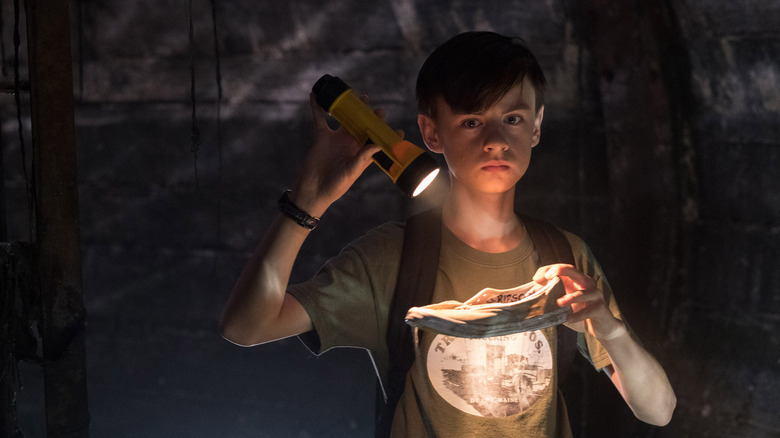 The first It movie earned a lot of chuckles alongside the screams; the kids' dialogue tended to be pretty lighthearted, even when they were hunting down (or being hunted by) Pennywise. 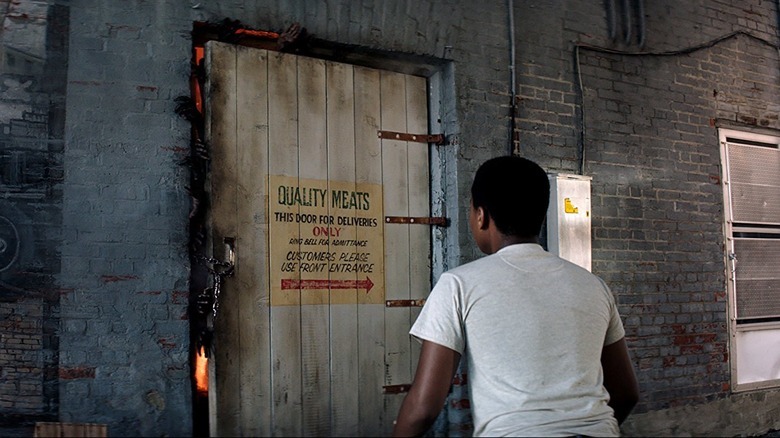 From four-letter-laden snapbacks to scenes of the Losers having fun at the quarry, the movie had a lot of levity. The second film, however, might not. Muschietti told MTV that Chapter Two "won't be a comedy" even though it will "recover the dialogue between the two timelines that the book had." Considering he's already hinted that even the most stable character of the original story, Mike Hanlon, will be struggling in new ways as an adult, it sounds like the second installment will really go there when it comes to their emotional anguish. Muschietti will return to direct the second film, from a screenplay written by Gary Dauberman. Although the first installment was credited to multiple screenwriters, including former director Cary Fukunaga, Dauberman was one of the final scribes to put his mark on the working screenplay. Though no official release date has been announced for the project, it's expected to be slated for 2019, with production kicking off as soon as possible so the first film's stars can reprise their roles before they outgrow their original appearances. Muschietti told MTV that if they do mature in the process of development, the "magic of cinema" will provide "practical solutions for that." 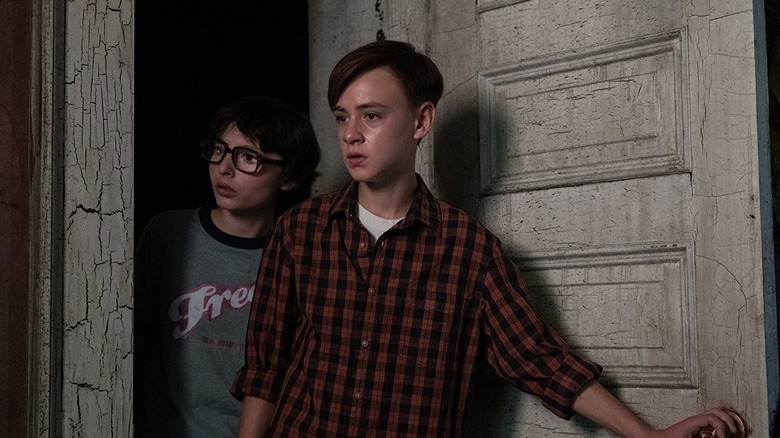 However, Barbara Muschietti told EW, "The hope is we'll find the best way soon, because it's also important for Andy to get flashbacks with the kids, who are growing very fast. They are an important component in the next film." It fans have already started putting together dream casts for Chapter Two, and we've got a few ideas for who should star in the second movie as well. For Muschietti, casting the pivotal role of Beverly Marsh might be as simple as looking back on his own filmography. Muschietti told Variety he's hoping for Jessica Chastain, who starred in his celebrated 2013 horror movie Mama, to join the cast, saying, "Jessica is an amazing actress and a very good friend and I would love her to play Beverly. She loves the movie and it feels like the planets are aligned in that sense, but we still have to make that happen." 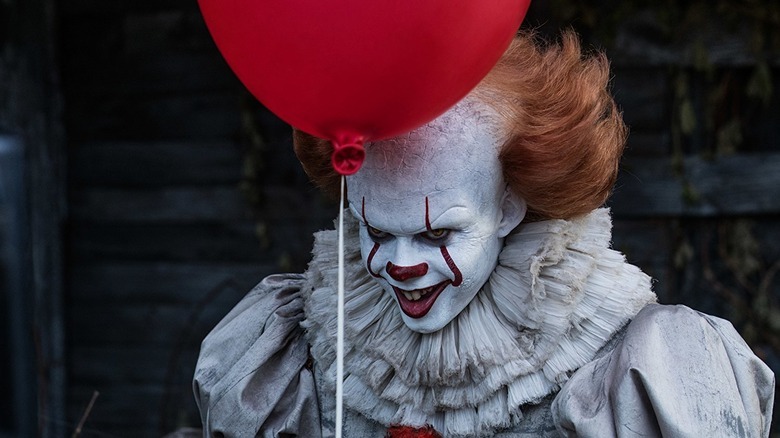 Before the cameras even started rolling on the first installment of It, Stephen King hinted that the overarching plan for the series might be to make two movies and then eventually cut them together into one long feature. "We're taking it and making the movie from the point of view of the kids," told Collider in 2016," and then making another movie from the point of view of the adults, that could potentially then be cut together like the novel." Considering the record-breaking success of the first film, it wouldn't be too surprising if a successful bow on the second earns a third installment that pieces together the first two for one last run at box office glory. It's still Hollywood, after all.